Too many U.S. companies believe that being first to market with a design feature, whether it’s registered as a trademark or not, is the best way to ensure that your brand is associated with it. That’s a false assumption—and a dangerous one. 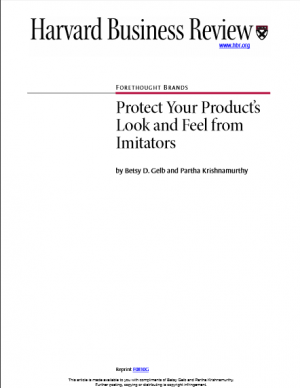 Instead companies must ensure that consumers connect a product’s look and feel with the brand. That means conducting targeted research on design features and, in many cases, spending more money to hammer home the brand association in consumers’ minds.